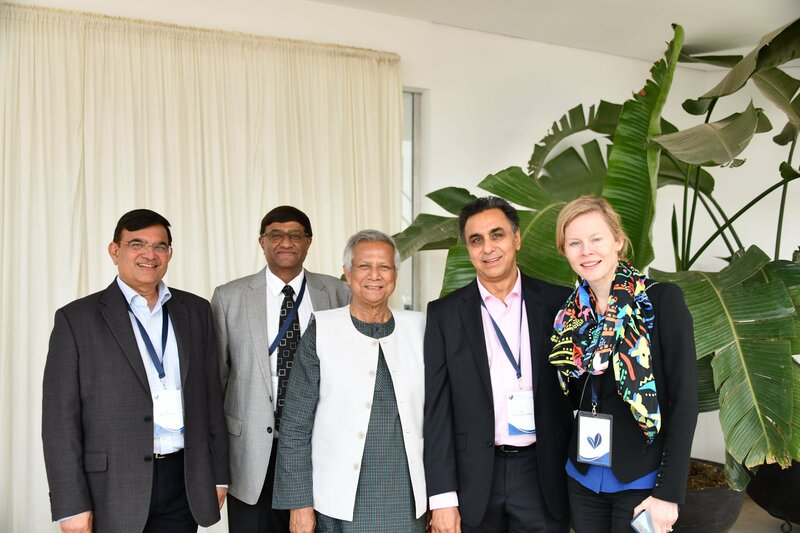 Professor Yunus visited Kenya to officially launch Yunus Social Business Kenya, a new fund dedicated to harnessing the power of social business to end poverty. Professor Yunus launched the new chapter along with three partners, who together are bringing the concept of social business to Kenya. 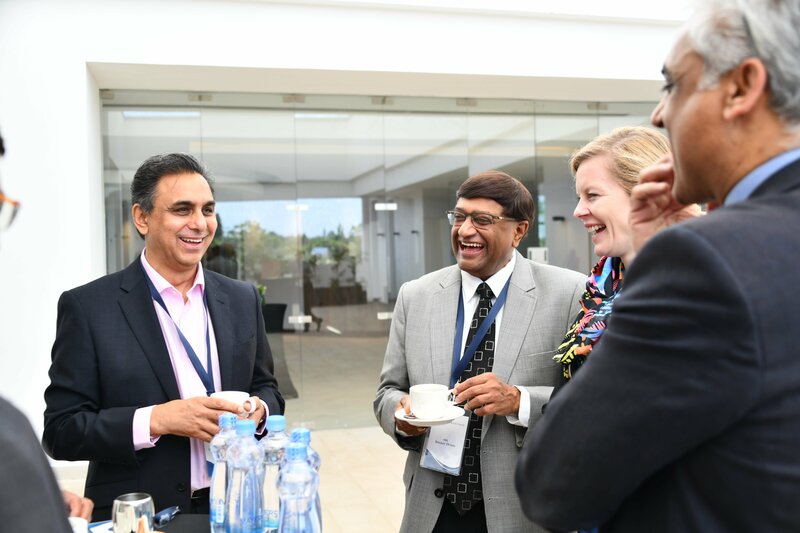 Bharat Doshi, Nilesh Doshi and Vinay Sanghrajka have all been deeply invested in philanthropy in Kenya for many years, but inspired by the work of Professor Muhammad Yunus they are bringing the business community of Kenya together to tackle social problems with a business approach. The launch was marked with an event with an attendance of over 320 members of the business community of Nairobi, over $800,000 committed for the fund so far. Among the attendees were renowned businessmen Dr Manu Chandaria and Dr C.S Sheth. As part of his visit, Professor Yunus launched his book in Kenya, ‘A World of Three Zeros: The New Economics of Zero Poverty, Zero Unemployment, and Zero Net Carbon Emissions’. The goal of the fund in Kenya will be to support and invest in social businesses and social entrepreneurs. By 2020 Yunus Social Business Kenya aims to be funding 30 social businesses, creating over 30,000 jobs and impacting over 2 million people in Kenya. By turning donations into investments in sustainable social businesses, Yunus Social Business Kenya will aim to tackle the kind of challenges traditionally addressed by aid agencies and charity. 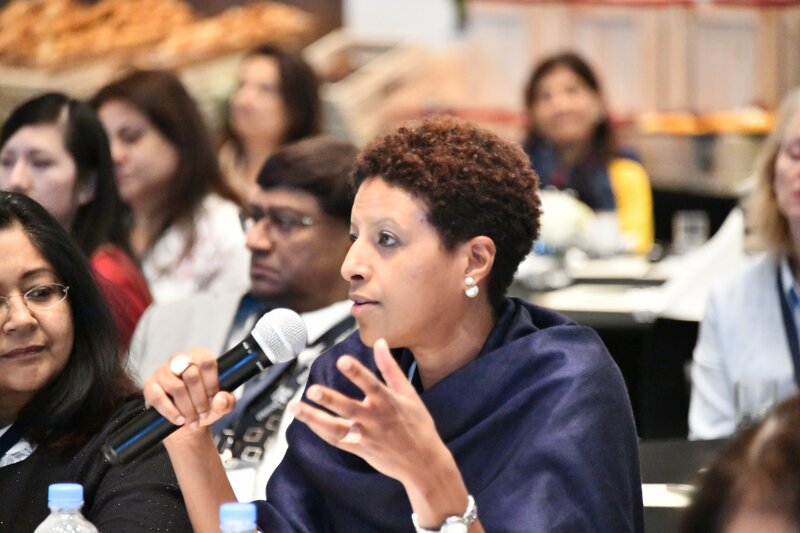 Alongside the launch, Professor Yunus addressed the Nairobi chapter of the Young Presidents’ Organisation (YPO), a network that brings together CEOs from around the world. 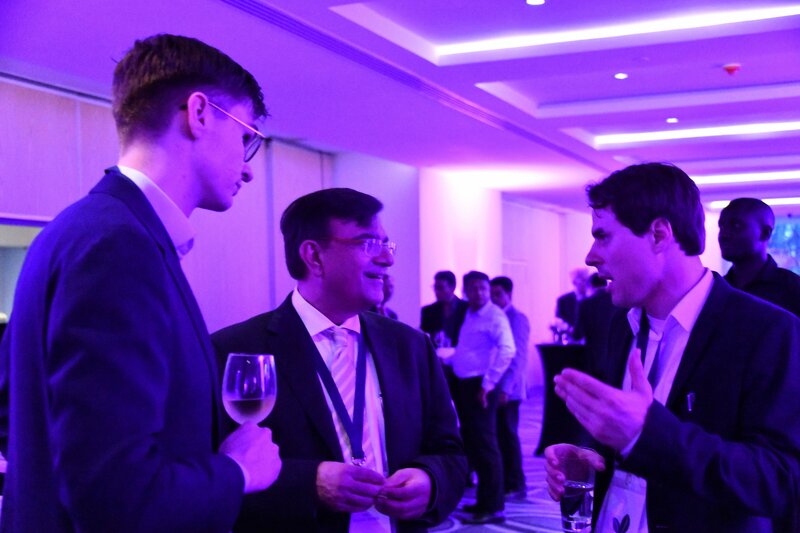 The event was one of the highest turnouts for any YPO event. His address highlighted to the YPO members on the need to mobilise social business within their own industries, touching on the key themes of his book ‘A World of Three Zeros’.